Have you ever wanted to make your house smell great for guests? Or maybe you were just looking to remove some unwanted odor (there is a reason there are no wet dog candles, you know). If so, join the club! That's why there are so many air fresheners in the world! But did you know that air fresheners are so toxic? They currently undergo little or no testing and can say anything on their bottles! Many which say "all natural" are even full of artificial chemicals (read more here). That's why it's so important that we take matters into our hands! And what better way to keep our families healthy while also sticking it to those shady air freshener manufacturers, then to use a diffuser! First, let's get something clear. Diffusing essential oils is more than air fresheners. And here is why you should diffuse them on the regular for lots of reasons... but you know, saving your lungs is always a good reason too. Ah, road rage. It happens to the best of us. But diffusing a little StressAway in the car can reduce the amount of expletives which can burst from your mouth when people are "so rude". It's AMAZING! Also, this can be helpful for the kids or the fur-babies too! Let me tell you a little story... my cat, Leo the Lazy, hates the car. He meows constantly and tries to eat his way through his crate, but when I diffuse lavender essential oil on car rides, he just sleeps away. It's so much more peaceful! 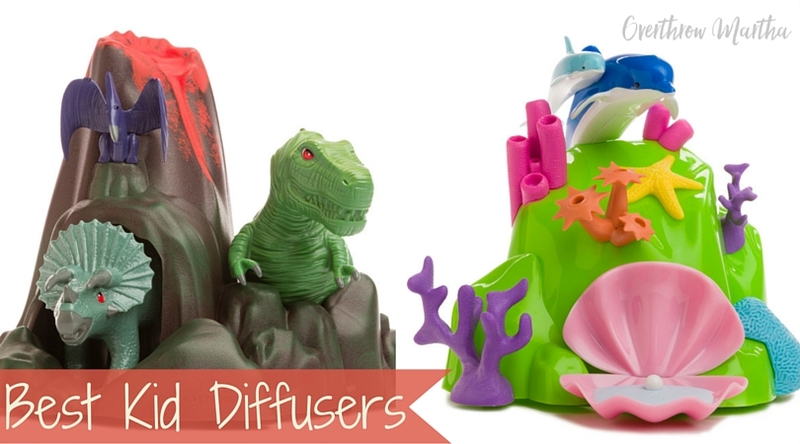 The DewDrop Diffuser is a modern looking diffuser that packs quite a punch. I own two of these and I can't stop talking about how awesome they are. This diffuser has a pretty, soft light (which you can turn off) and it will diffuse for about 3-4 hours on continuous. It is also one of the most quiet diffusers I've owned which makes it perfect for a bedroom, especially if you are a light sleeper. **The lid can be a little difficult to remove at first, but with a little twist and tilt the lid can easily come off. If you have a small room or even a large bathroom that you want to diffuse in, then you have a lot of choices on the market. I've tried several, but I really have just a couple of favorites. The TheraPro Diffuser is probably a different kind of diffuser than you've used before. 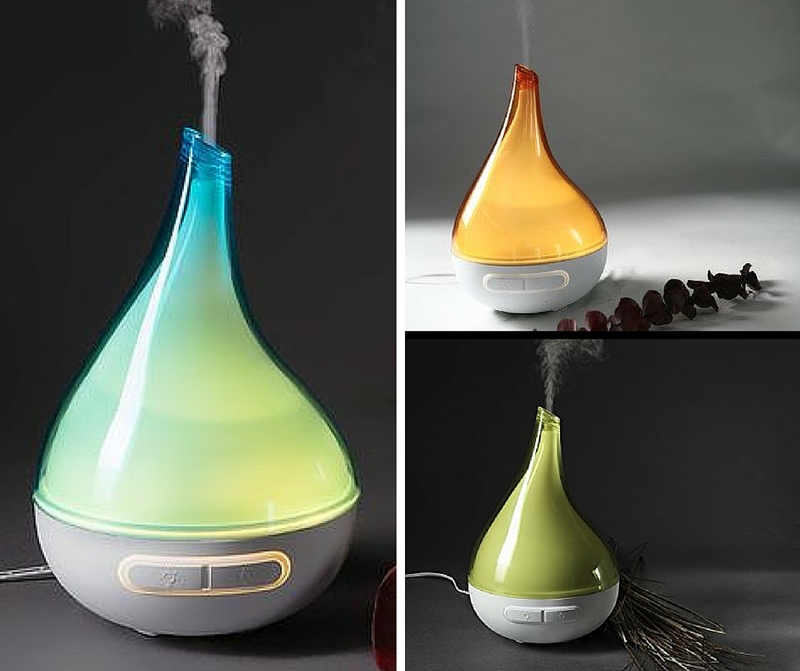 It's an atomizing diffuser which means that there is no water used. 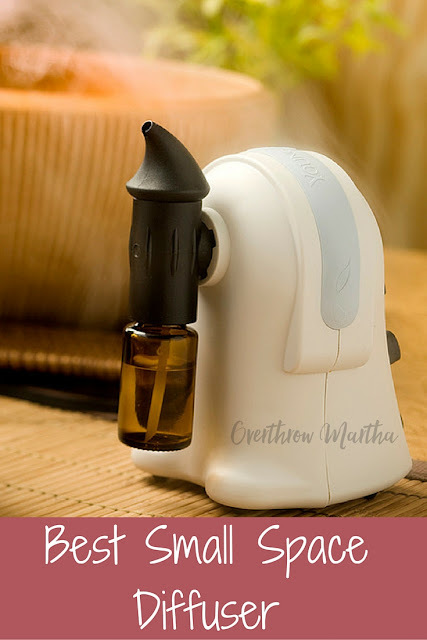 You simple connect a bottle of essential oil and turn it on. That means the TheraPro is sending the most concentrated amount of essential oil to you and your family. It's only needed for short bursts to get maximum effects. But beware-- this is NOT a diffuser to go to sleep too. It's loud, but it will blow you away with it's awesomeness during the day. Think of it as mainly a wellness or health diffuser, but it's also great at quickly purifying areas of your home. It's not a substitute for an air freshener by any means! You'd go broke fast! 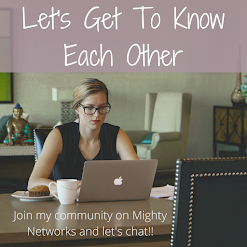 FAQ: How fast does it use essential oils? If used frequently and high volumes, it can eat through a bottle of essential oil pretty quickly. However, if used per the manufacturer's instructions or used in 15-30 minute intervals, then you will use minimal essential oil. 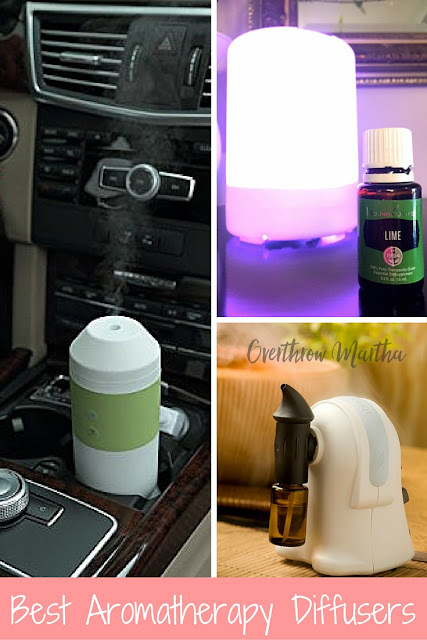 If you are looking for a quiet diffuser that you could use in your bedroom, then go with my favorite All Purpose Diffuser (above) or the URPOWER Aroma Essential Oil Diffuser . They are both great and very quiet, but the big difference is that the URPOWER has more color settings and a larger water capacity. Due to the significant water capacity, the URPower can diffuser for 6-8 hours, but it can also use a significant amount of essential oil. I find that re-scenting the water with essential oil at around 4 hours of use is ideal for my household. The Large Uvistar Humidifier and Diffuser is one of my favorite to have in my living room. It's got a glass dome which I think adds some class and makes it seem more expensive than it really is which makes my thrifty heart happy! This diffuser can last all night due to it's large water capacity and it will blend in with many different home decors. It has a 4 timer setting and can change to 7 different colors so it can really match up to any decor. But my favorite is the appearance of the thick frosted glass upper dome cover -- it looks gorgeous with the LED lights! It's almost like it's dancing across the dome! Does it get better than dinosaurs, horses and underwater adventure? I think not. And with the freedom to change the covers (and the company planning on adding new covers regularly), there can be an endless possibility of choices and updates! Dino Diffuser This diffuser "erupts" with an LED explosion of lights! How cool is that! Dolphin Diffuser It even comes with a hidden place for jewelry or trinkets! Sundance Cover Is a horse lover's dream! The QUOOZ Lull Ultrasonic Aromatherapy Essential Oil Diffuser is great for anyone who wants to have fun. It's sophisticated enough for a teenager, but you'll never get too old for it either. When in "breathing mode" it has a bit of a 70's trippy flare with how the light moves around the dome which is just fun and a great conversation starter. And it comes in 5 colors so you are bound to find one that fits everyone in the family! BONUS! I hope you enjoyed this list of diffusers! 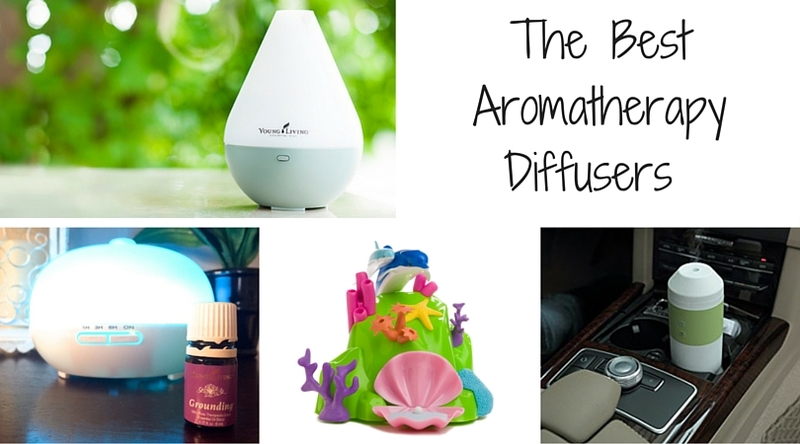 I hope that you share your favorite diffusers in the comments below! 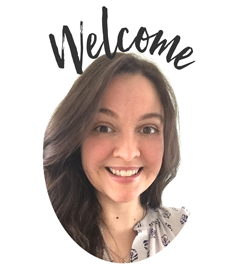 New to Essential Oils? 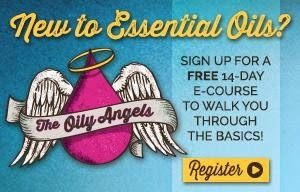 Be sure to check out Essential Oils 101 or my Getting Started With Essential Oils Guide before you get your diffuser! Disclaimer: Remember anything bought from Amazon has a 30 day return policy, but some diffusers will not carry a full warranty when purchased from Amazon or other 3rd party sites. 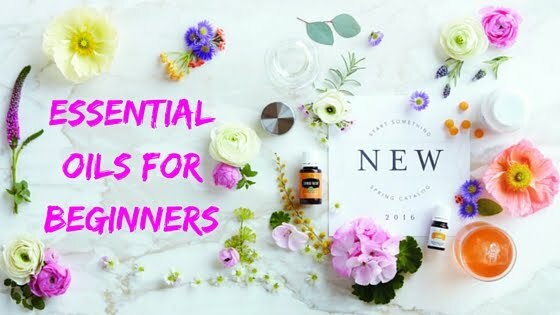 Some companies, like Young Living, will only honor a warranty when purchased directly from their website. If a warranty is important to you, please make sure that you check out the warranty information and regulations before purchasing.